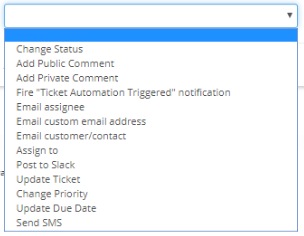 Ticket Automations are used to create rules and conditions for Tickets, then perform a certain action for those Tickets that meet the criteria. You can setup an Automation and then every hour or so they will run on all of your Open Tickets. They will try to match some rules, and then do an action. They don't run "on the hour" - but they will every hour. The conditions are the criteria that the Tickets have to meet for this Automation to run. For example you could use the "Hours until due date" condition to track which Tickets were getting close to their due date. You can also use multiple conditions to track things like Tickets that are set to "Invoiced" that have not been updated in X hours. The actions are run on the Tickets that meet the criteria set up in conditions. You can do things like have the system add comments and change the Ticket info such as priority. 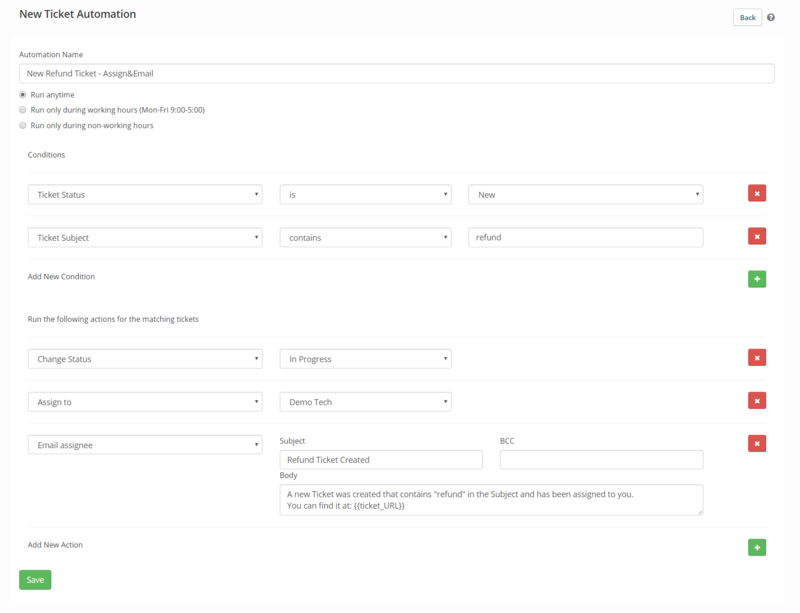 You can also use multiple actions like with conditions, so when the conditions find Invoiced Tickets that have been open for too long, you can then send an email to the customer as well as the assignee. The Ticket Automations will run on every Ticket that meets the Conditions that are set up. This means that if you have a Ticket that meets the Conditions and has the action run, it will continue to run as long as it meets the criteria in Conditions even multiple times. To prevent this and have the Ticket Automation only run once, you will need to add an Action that changes the Ticket Conditions so that it no longer meets the criteria. 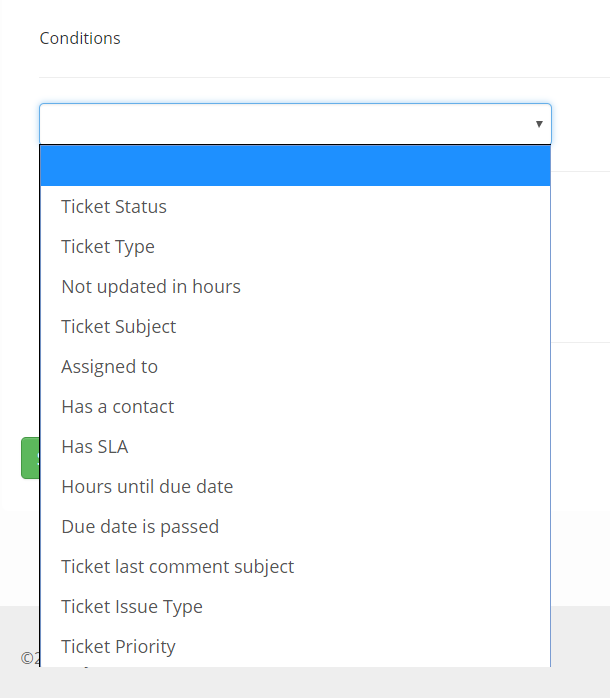 For example if you searched for all Tickets that had the Status "New", you then could create an action that changes the Ticket Status to "In Progress" so that it will not meet the criteria for "New" the next time the Ticket Automation runs.